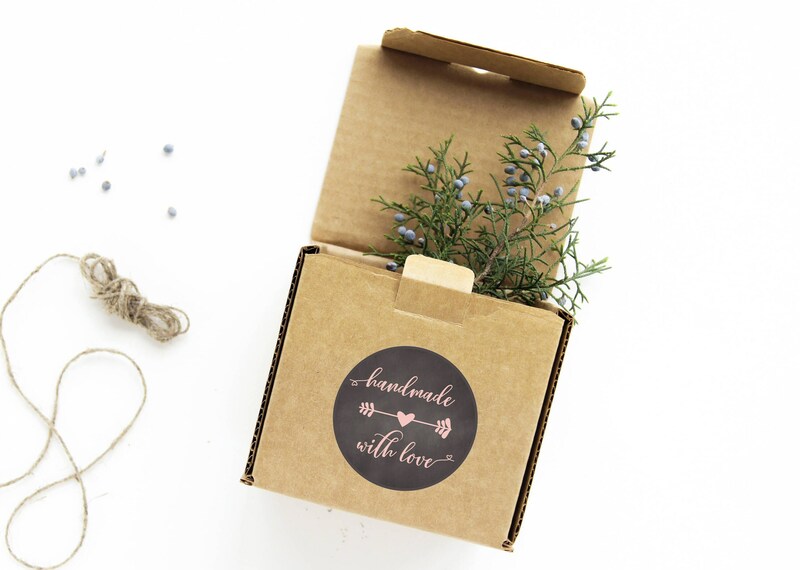 Make your packages for the items you put so much love and time into creating even more beautiful. 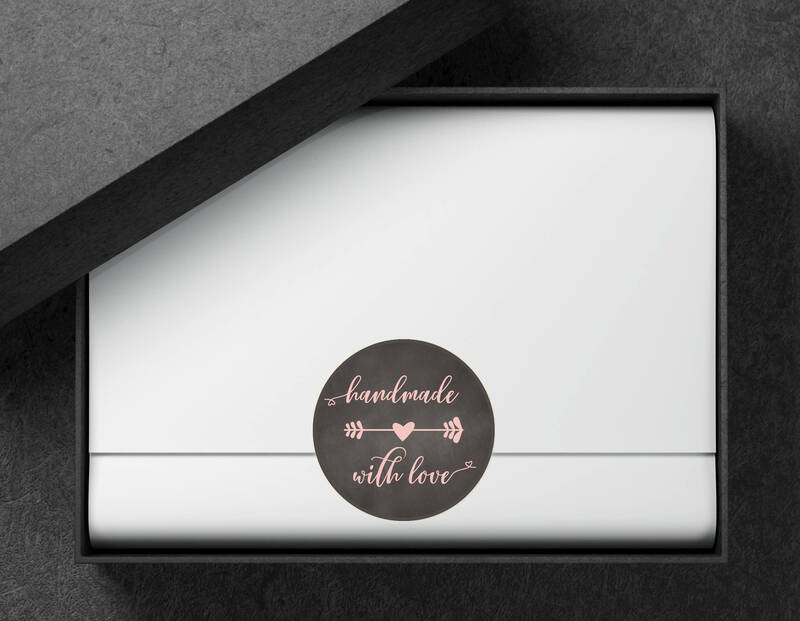 These "Handmade With Love" stickers will reinforce to your customers just how much time and thought and care you put into creating their items. -These are available on sheets in sets of 100, 250, 500, 1000 and 2000. If you'd like a different quantity, please message us for pricing. 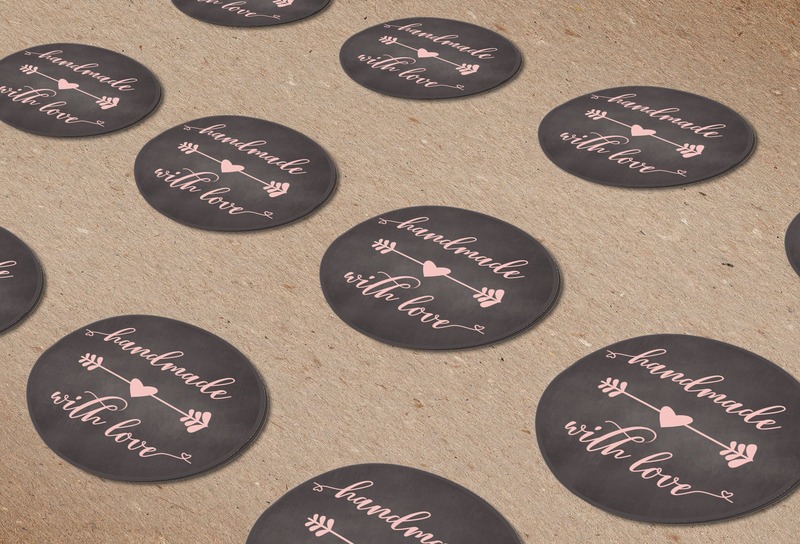 -These are round stickers that come in 1.5 inch, 2.0 inch and 2.5 inch diameters. If you would like a different size, please send us a message to see if we can accommodate you. -These are printed on glossy stock (coated finish). If you are interested in matte (uncoated) stock, please message us because we often can get matte material. -If you are in need of waterproof material, such as vinyl or polyester, please message us. NOTE: Please know that because colors on computer monitors vary, the colors on your finished product may vary slightly from what you see on your screen. CUSTOM OPTIONS: We often design custom stickers and product labels. If you would like something created just for you, which may or may not include your logo, feel free to send us a message! We love custom orders! Love my stickers-I will continue to order! Beautiful! The custom logo stickers are great and match my business cards and hang tags perfectly. I love my logo stickers! They have been working perfect to seal my doormats before sending out. Thank you!!! Great product and fast shipping. Owner was great to work with! !